The ET 101 website and its entire content, and the books E.T. 101 – The Cosmic Instruction Manual and E.T.101 – The Cosmic Instruction Manual For Planetary Evolution [hereafter both referred to as E.T.101] in all of their published formats and entire content are copyrighted by Diana Luppi. All rights reserved. You may, with express written permission, distribute or use the content from the ET 101 website or brief quotations from the book E.T. 101 embodied in articles or literary reviews. All information that is to be used must be displayed in its entirety with full attribution to the author, Diana Luppi, and a link back to our website – et101.net. Permission to use any of our content may be granted by filling in our form below. Diana, or her authorized representative, will contact you via email to confirm this use request. I agree By checking this box, I understand and agree that the content will be used as described in this communication. If I wish to add other content from this website, not listed here, I will submit a separate use request. The materials on the ET 101 website are provided “as is.” Diana Luppi, Author makes no warranties, expressed or implied, and hereby disclaims and negates all other warranties, including without limitation, implied warranties or conditions of merchantability, fitness for a particular purpose, or non-infringement of intellectual property or other violation of rights. Further, Diana Luppi, Author does not warrant or make any representations concerning the accuracy, likely results, or reliability of the use of the materials on its Internet website or otherwise relating to such materials or on any sites linked to this site. In no event shall ET 101’s website or its suppliers be liable for any damages (including, without limitation, damages for loss of data or profit, or due to business interruption) arising out of the use or inability to use the materials on ET 101 Internet site, even if ET 101 or Diana Luppi, authorized representative, has been notified orally or in writing of the possibility of such damage. Because some jurisdictions do not allow limitations on implied warranties, or limitations of liability for consequential or incidental damages, these limitations may not apply to you. The materials appearing on ET 101 ‘s website could include technical, typographical, or photographic errors. Diana Luppi, Author, does not warrant that any of the materials on the ET 101 website are accurate, complete, or current. Diana Luppi, Author may make changes to the materials contained on its website at any time without notice. Diana Luppi, Author does not, however, make any commitment to update the materials. Diana Luppi, Author has not reviewed all of the sites linked to its Internet website and is not responsible for the contents of any such linked site. The inclusion of any link does not imply endorsement by Diana Luppi, Author of the site. Use of any such linked website is at the user’s own risk. Any claim relating to ET 101’s website shall be governed by the laws of the State of Colorado without regard to its conflict of law provisions. 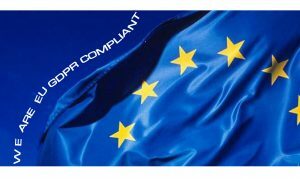 (We use MailPoet as our newsletter mailing service and MailPoet, incorporated in France since 2011, has informed us that they are completely General Data Protection Regulation (GDPR) compliant. Our online shop retains customer data for support services only. If you are concerned about any retained data, you can write to us requesting deletion or forwarding of said data to you. We will collect personal information by lawful and fair means only and, where appropriate, with the knowledge or consent of the individual concerned. We have never and will never sell your information to any third party.